To assist the Project and Survey Managers to ensure the PC Monitoring meets the required deliverables in a timely and efficient manor. To develop and draft key project documentation and prepare data reports in line with the clients programmes and requirements. Be actively evolved with all aspects of the project, including technical data management, operational and commercial functions. Collate and prepare technical data reports for issue to the client. Under data preparation for analysis using MS excel and other bespoke monitoring software packages. Actively participate in and champion the teams drive to improve and maintain the quality of deliverable's. Prepare project documentation including Method Statement and Risk Assessments. Prepare schedules and works programme's, in line with resource and contract commitments. Arrange and prepare project documentation required for final reports and commercial records. Assist the management team at client meetings and presentations. Brief project teams on requirements and instructions and report on site progress to the engineering management team. Undertake site visits to assess the design an installation of monitoring systems. Be responsible for the maintenance of site and survey records. Assist on the preparation of bid and technical proposals. Assist in the preparation of technical design documentation. Arrange access to work sites, with clients and third parties. Provide progress reports to clients. 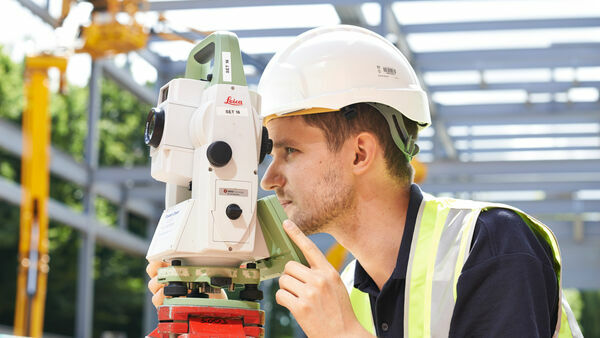 A civil engineering, surveying or other science based degree. 1 – 3 years post-graduation experience in construction and/or surveying. A good knowledge and understanding of either Engineering, Survey or data management principles. Experience in generating project documentation suit, Methods Statements, Risks Assessments etc, and accurate recording of work actives, programme and progress. Experience of automated monitoring systems used in the civil engineering environment. Will have the ability to communicate on a technical level with clients on quotes, project specifications and technical matters related to the project. Will have good verbal and written communication skills. Positive and proactive approach to problem solving. Have an understanding of project costs and basic contract knowledge. Competent in Microsoft Office applications. Prepared to be involved with projects which may run outside of normal working hours and weekends.